A huge haul of drugs and cash has been seized after police raids in Sussex. Officers executed multiple warrants in Brighton and discovered more than £40,000 worth of Class A and B drugs. 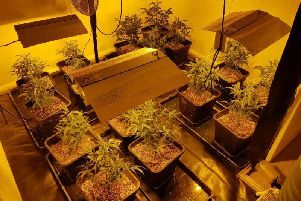 As well as the illicit drugs police also recovered more than £20,000 in suspect cash, Sussex Police confirmed. Multiple people have been arrested. A spokesman for Brighton Police said on Twitter today: "Brighton is a hostile place to deal drugs. "Thank you to our community for their ongoing support."